Published by The Shoestring Publisher. 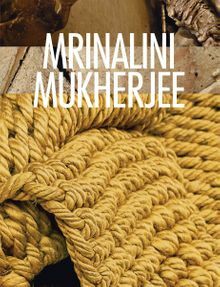 This revelatory monograph explores the work of Indian sculptor Mrinalini Mukherjee (1949–2015). Committed to sculpture, Mukherjee worked most intensively with fiber, making significant forays into ceramic and bronze toward the middle and latter half of her career. Within her immediate artistic milieu in post-independent India, Mukherjee was one of the outlier artists whose art remained untethered to the dominant commitments of painting and figural storytelling. Her sculpture was sustained by a knowledge of traditional Indian and historic European sculpture, folk art, modern design, local crafts and textiles. Knotting was the principal gesture of Mukherjee's technique, evident from the very start of her practice. Working intuitively, she never resorted to a sketch, model or preparatory drawing. Probing the divide between figuration and abstraction, Mukherjee would fashion unusual, mysterious, sensual and, at times, unsettlingly grotesque forms, commanding in their presence and scale. In retrospect, Mukherjee's artistic output appears iconoclastic, singular, calling out for assessment and analysis across multiple registers, as well as for an account of why, in hindsight, it was relegated to the margins. 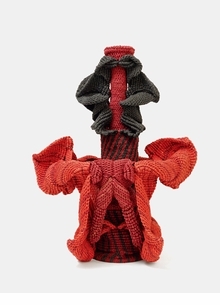 Within these pages are deliberations on Mukherjee's place within both an Indian and a more international art history, and her work's relationship to other fiber-art practices from the mid to late 20th century. This book will introduce Mukherjee to a new generation of scholars, art historians and artists. Paperback, 7.75 x 10 in. / 320 pgs / 300 color / 50 bw.